I usually take advantage of the Argos 3 for 2 toy sale each year. It usually happens around the end of July. There has been no official word as yet of when it's going to be. However, after snooping around the web, some are saying it's going to be starting Friday 28 July. 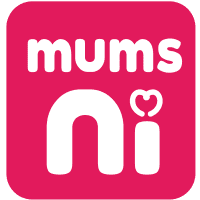 \r\n\r\nI'm not sure with Argos being bought over by Sainsburys if there even will be a 3 for 2 offer on the toys anymore. BUT I'm keeping my eyes peeled. If I see or hear anything, I'll be sure to let you all know. And likewise for you guys, if you hear anything let the rest of us know :D\r\n\r\nWhat have you heard? woooohhhhoooooooo it's been confirmed folks. Argos are indeed having a 3 for 2 toy sale, starting tomorrow!!! :D http://www.argos.co.uk/events/3for2toys.html What will you be buying? ?